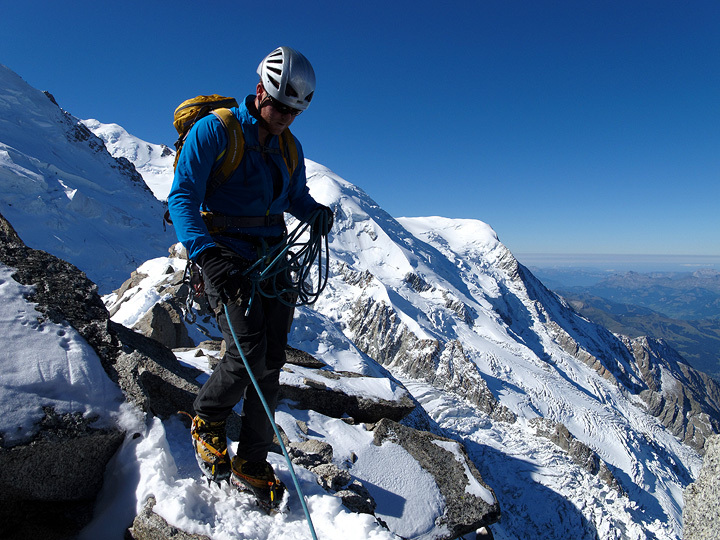 Sandwiching a bit of climbing between work days, Kade joined Mark in the Chamonix area. We started with that Arnad classic, Dr Jimmy. 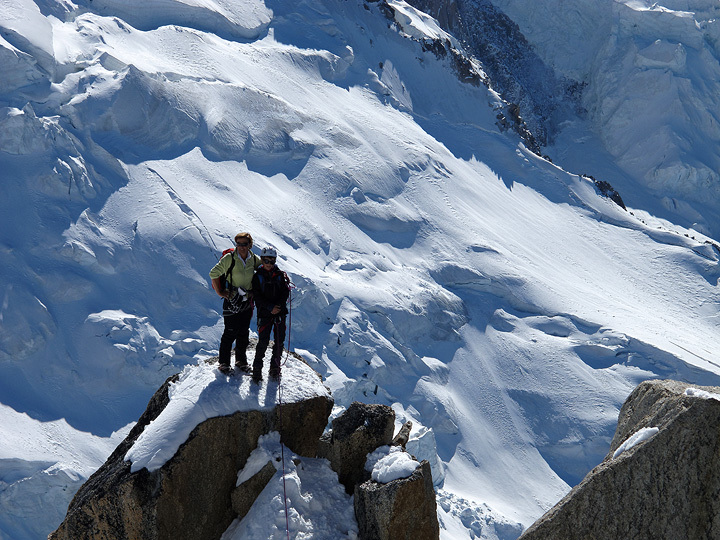 The following day we climbed the Arête des Cosmiques on the Aiguille du Midi, and one our last day, more rock climbing at the Chésery, climbing a route called "La Rouge" as well as the Aiguillette d'Argentière. 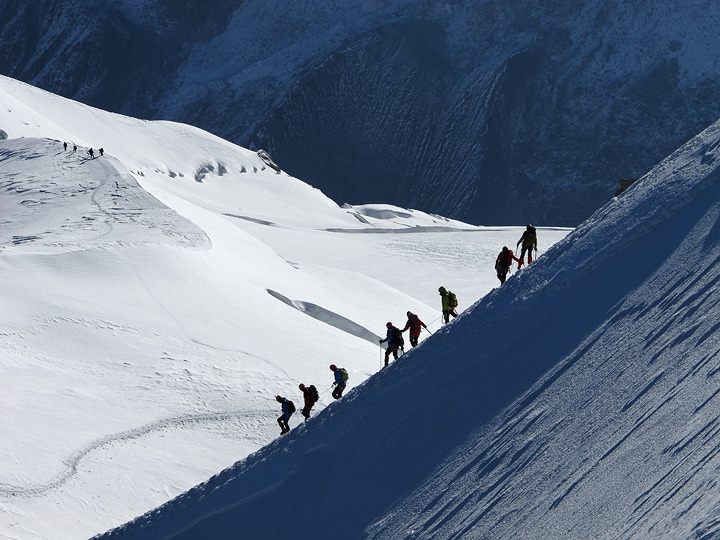 Descending the snow arête en route to the Cosmiques Arête. 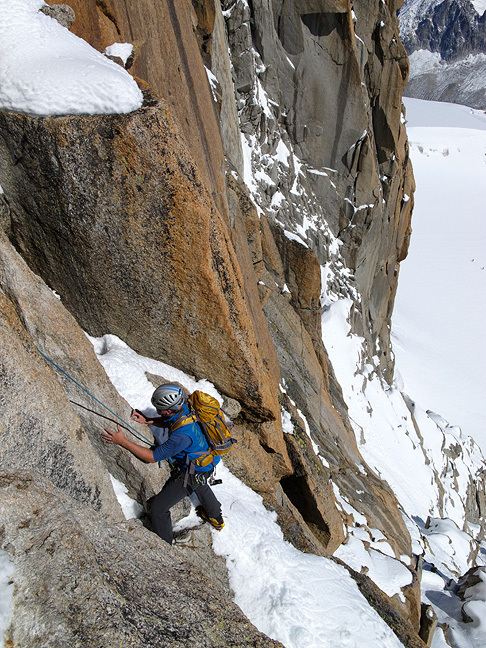 Kade leads to the start of the Arête Laurence, the less climbed lower part of the Cosmiques Arête. 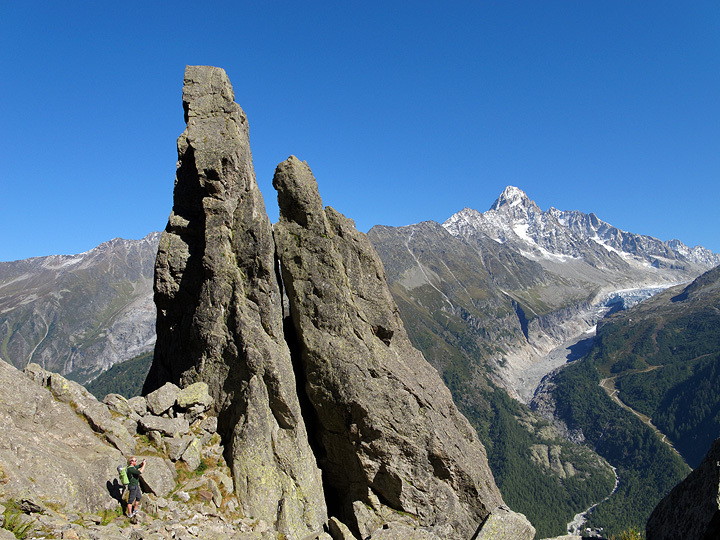 The upper, and normal, Cosmiques climbs from left to right, close to the crest. 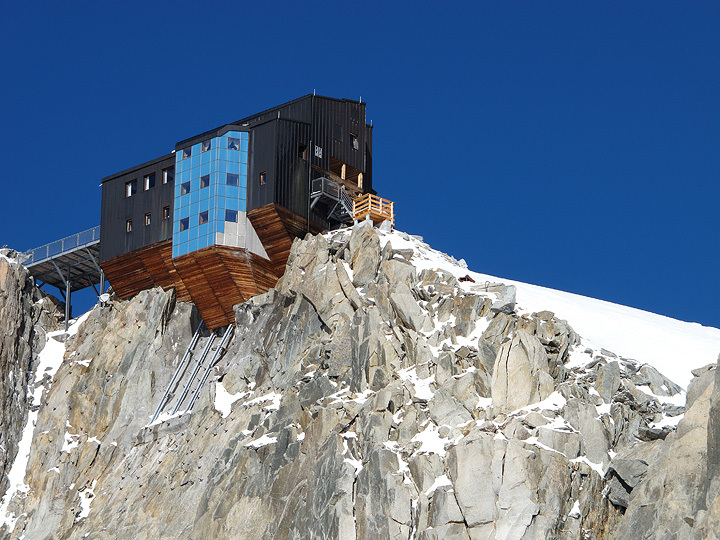 Walking past the Cosmiques hut. 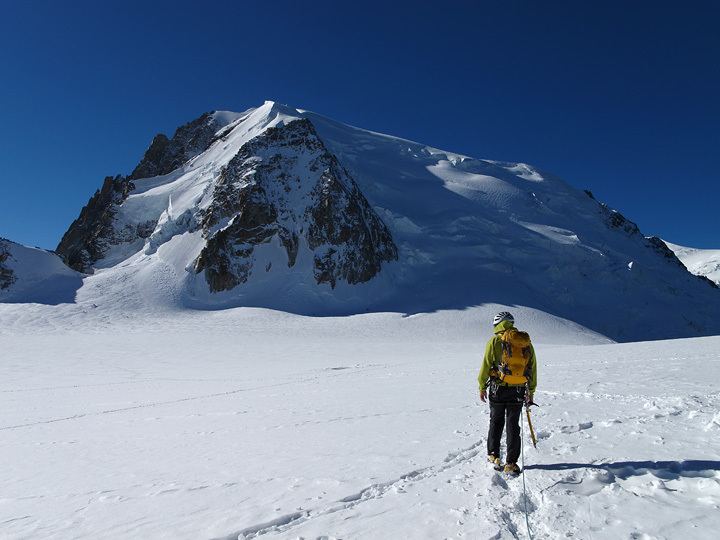 If one includes the Arête Laurence, as we did on this day, we must literally pass through the hut. So it is boots and crampons off at the deck on the left, walk through the dining area, then out the door on the right. Of course we had to stop for a coffee and apple crumble! 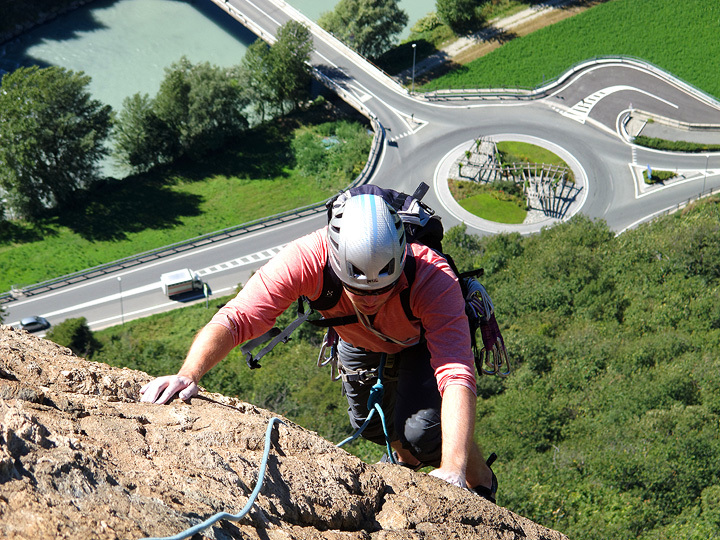 Kade on the Arête Laurence. 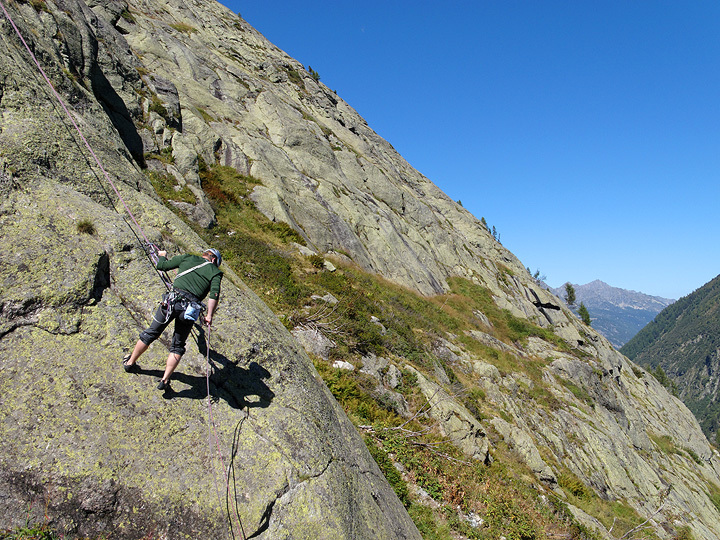 And then on the upper (normal) Cosmiques. Another team poses for the cameras. 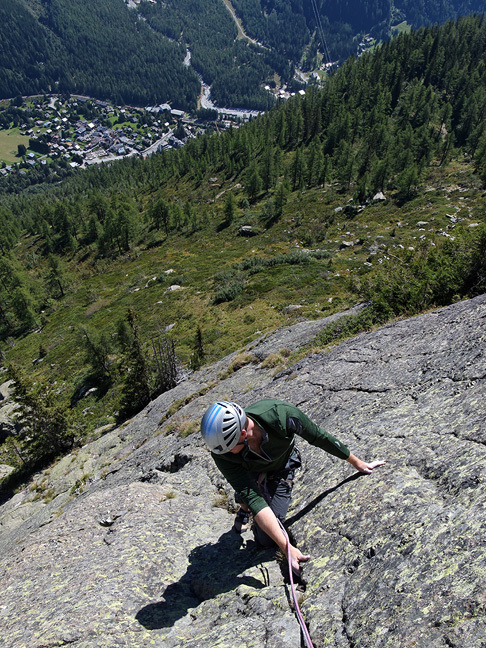 On our last day we climbed at Chésery, an area of slabs, some 5 to 6 pitches high, on the hillside above Argentière. 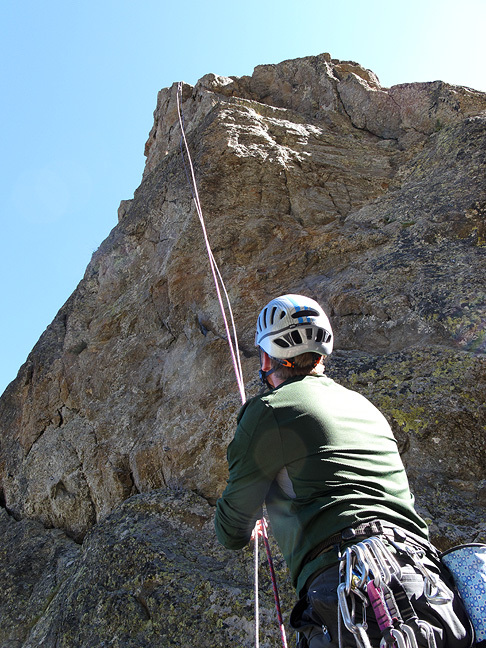 We did a route called "La Rouge" with Kade leading the first and hardest pitch. This photo is on the second to last pitch. 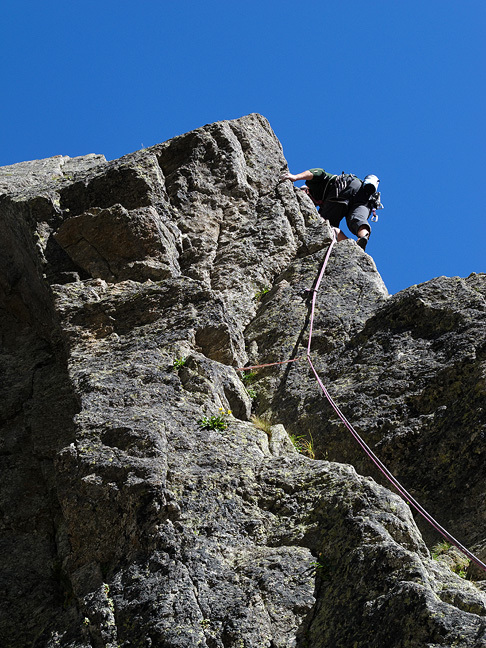 We finished the day with a quick ascent of the Aiguillette d'Argentière. Here, Kade leads the one-pitch route. Sorting the ropes for pulling after the rappel. 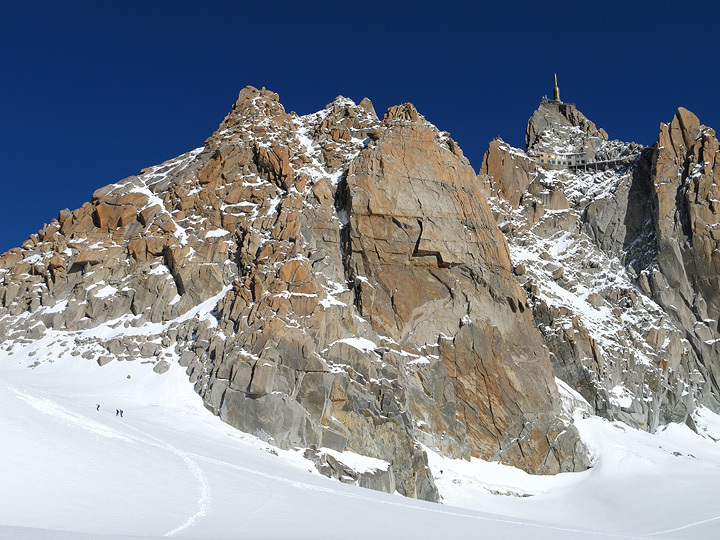 The Aiguillette with the Aiguille du Chardonnet behind.